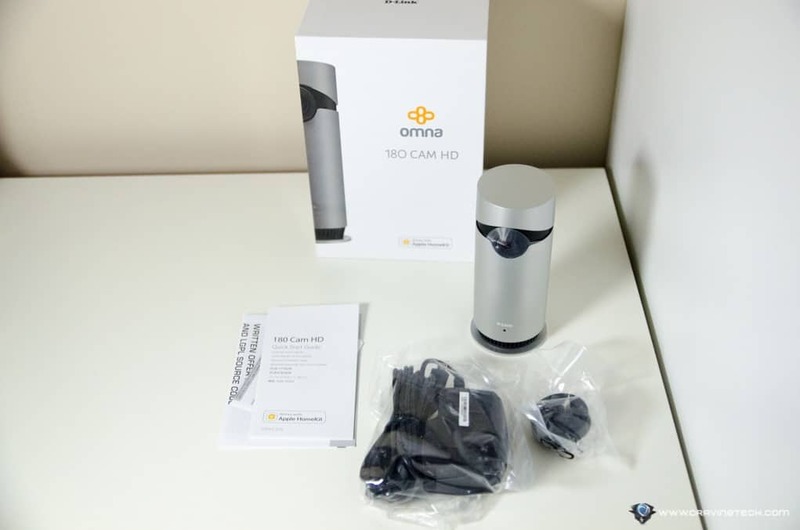 D-Link Omna 180 CAM HD Review (DSH-C310) – D-Link has launched the first Apple HomeKit-enabled indoor camera, the Omna 180 CAM HD, to complete your smart home set-up. 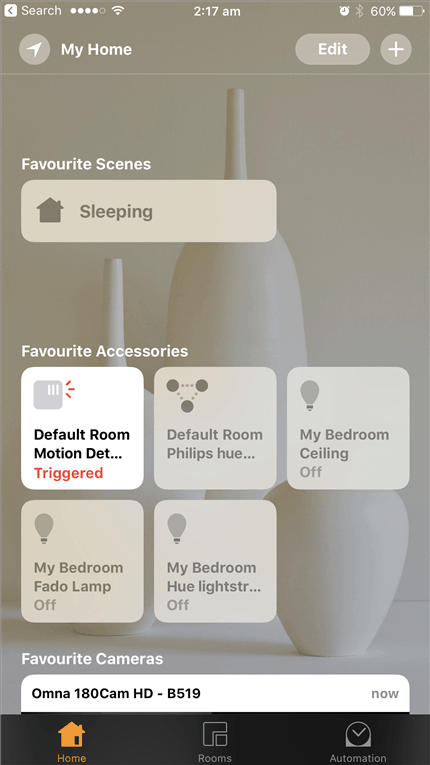 Apple HomeKit is a framework by Apple that enables all HomeKit-supported devices to communicate with one another in a single ecosystem. For example, you can set it every morning to start boiling water with your water kettle, roll the blinds up, and turn the TV on. All these can be controlled from your Apple devices such as an iPhone like the latest iPhone 7 Plus, or an Apple Watch. 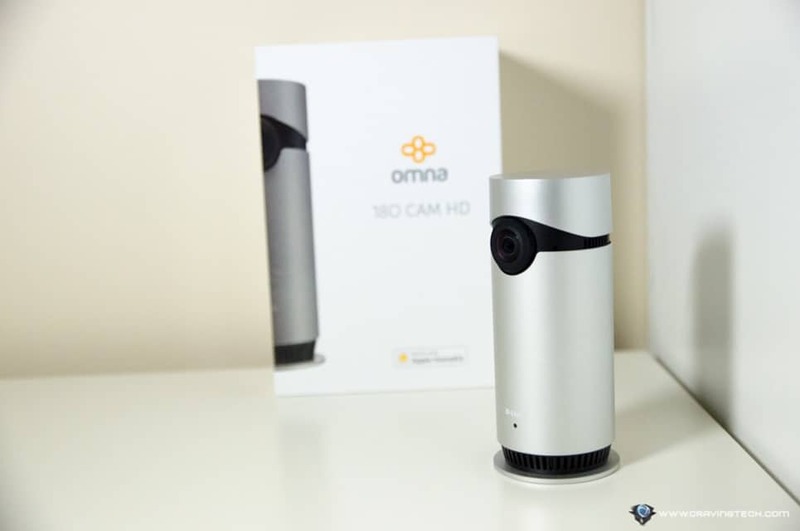 D-Link Omna 180 CAM HD offers an HD camera to monitor your home while creating endless possibilities with the other Apple HomeKit-supported devices you have set up, thanks to its built-in motion sensing. 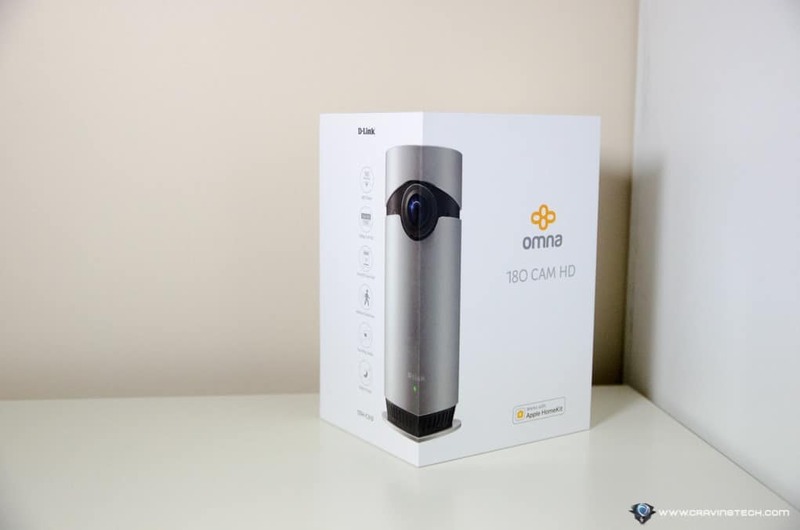 With its stylish, compact, and vertical-cylindrical design, the Omna 180 CAM HD can fit in any room set ups really well. It doesn’t require plenty of space, though you can only place it on a flat surface (i.e cannot be mounted on the ceiling or a wall). I personally like the look of the unit and it definitely adds some kind of an aesthetic value to its surrounding area. 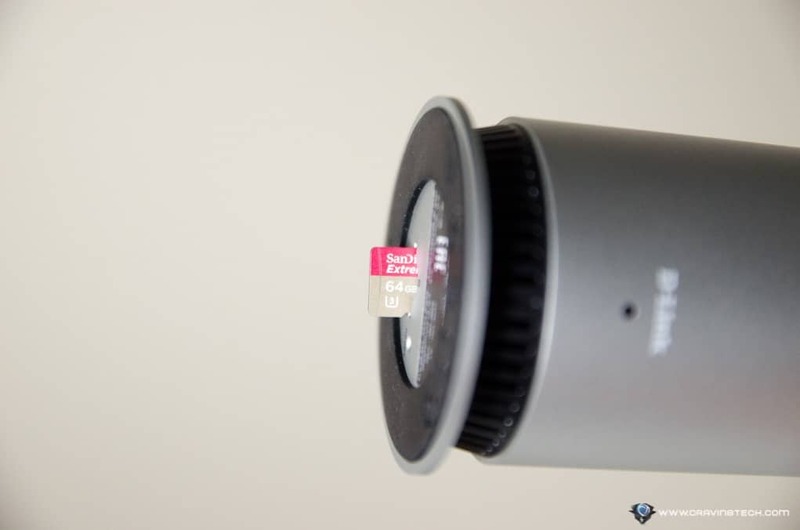 D-Link Omna offers Full HD (1080p) video recording with wide-angle view (180 degrees). This is a big selling point because I’m personally amazed at how vast can the Omna see, and how good the video quality is. Thanks to the wide-angle lens, it’s also more flexible in terms of placement around the house. 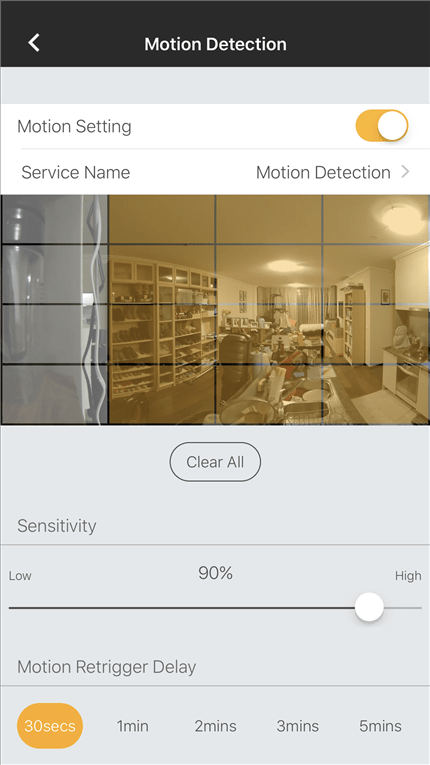 It supports live streaming so you can always check the condition of your home from an iPhone, say, where ever you are with an internet connection. The video bitrate will continuously adjust itself so if you are on a slow connection, you can still see what’s happening with a lower video quality. 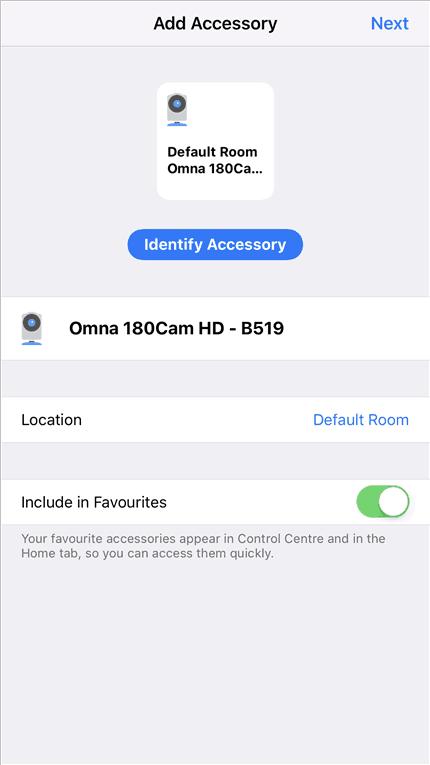 Note that controlling the Omna 180 CAM HD away from home through Apple HomeKit requires an Apple TV (4th generation or later) with tvOS 10.1 (or later) or iPad with iOS 10.1 (or later). I use my original iPad Air as the Hub and it’s been working great so far. 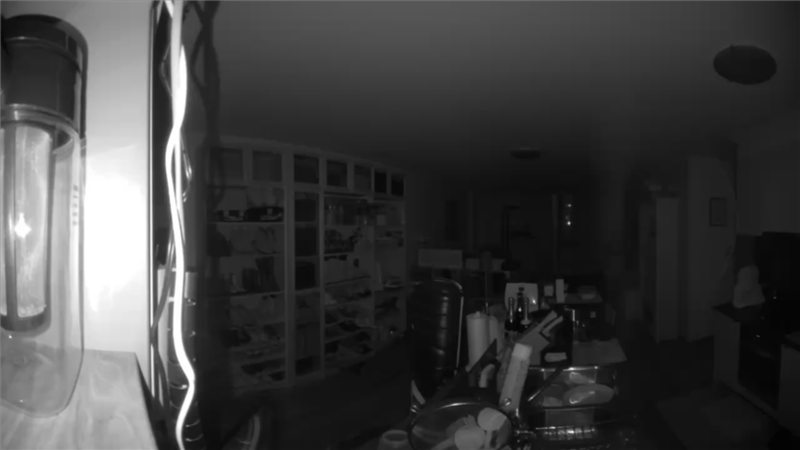 Equipped with Infrared Night Vision that automatically turns itself on in the dark, you can see and record within 5 meters (according to D-Link). D-Link Omna can only record locally to a microSD card (up to 128GB) so if you are using it as a security camera and a thief breaks in, both the camera and the recording can be stolen easily. 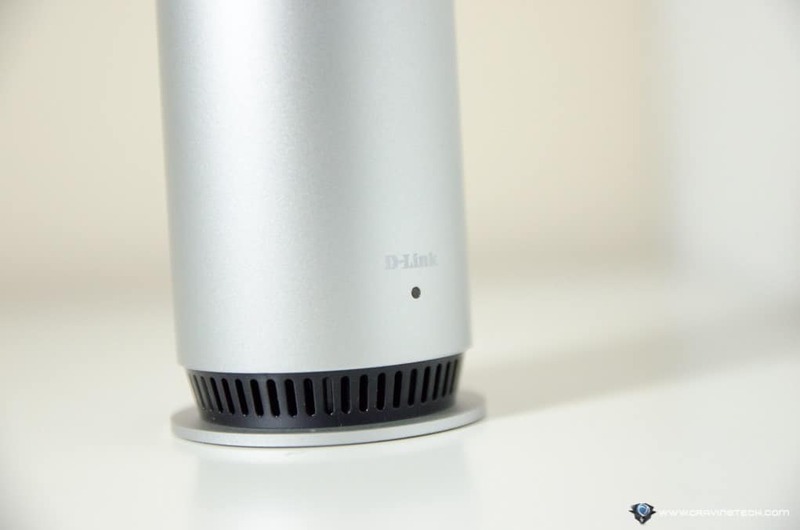 Sure, local/offline recording means there is no internet connection needed to record and you don’t have to worry about bandwidth, but it’d be great if D-Link can provide a cloud recording option if you want it. 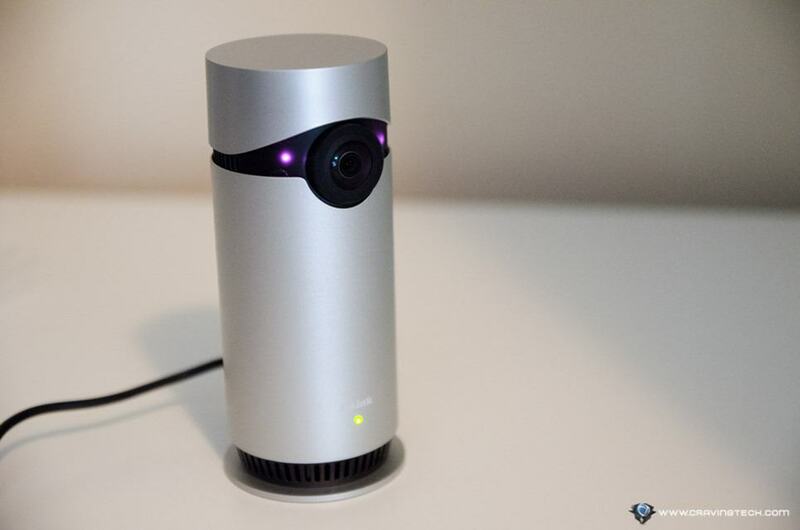 Because of this, the Omna might not be suitable on its own as a security camera device – unless if you combine it with the other devices at home (such as triggered alarms, etc). D-Link does not include a microSD card in the packaging, so you have to pick & purchase one if you need the video recording capabilities. 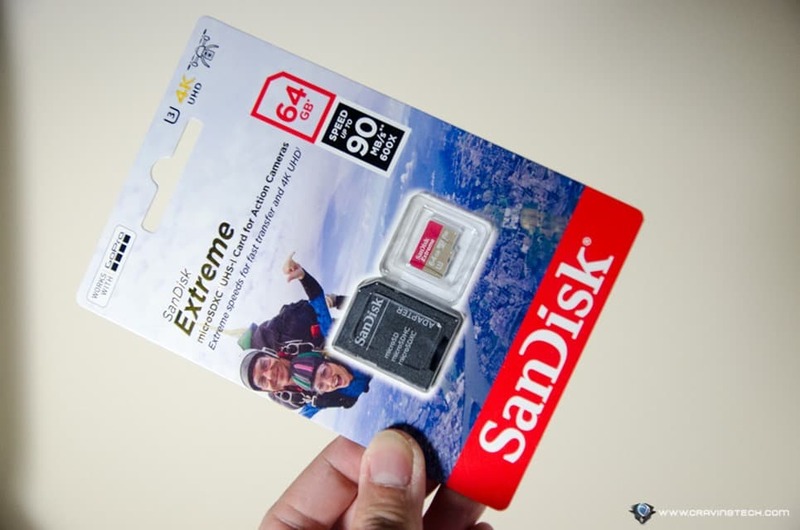 My recommendation is to get this Sandisk Extreme microSDXC UHS-1 Card which has a crazy amount of read speed (up to 90MB/s) and write speed (up to 40MB/s). This will ensure the credibility of your footage and that all clips can be written quickly to the card. Sandisk even gives a lifetime warranty on the card so you can reuse the card for something else in the future. 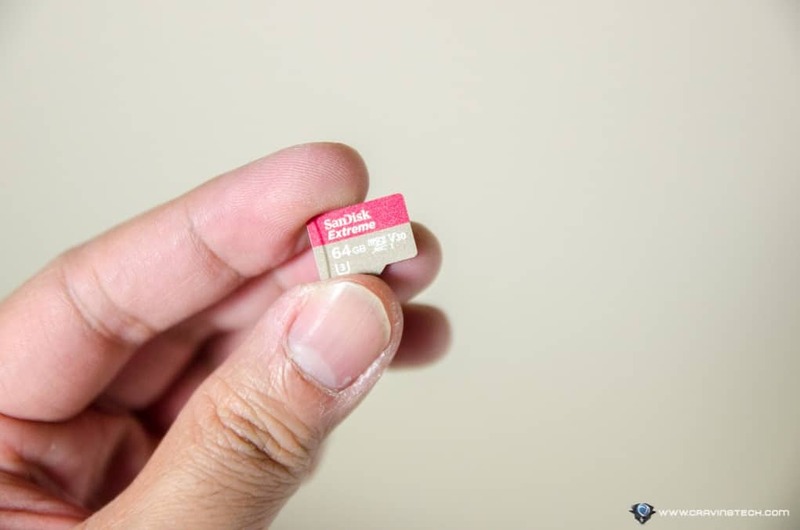 You can purchase the microSD card at many retailers for around AU $50-55 (for 64GB). They also have a 16GB, 32GB, and 128GB (with 60MB/s write speed) model – which depends on what you’d like to do with the Omna 180 CAM HD. Recording is done through motion detection. I personally like how the Omna can record and store pre-event recording, so you will not miss any crucial moments. However, the clips are 20-second long each and there is a gap before it can record again (i.e it does not have non-stop continuous recording). The Two-Way Audio works pretty well. 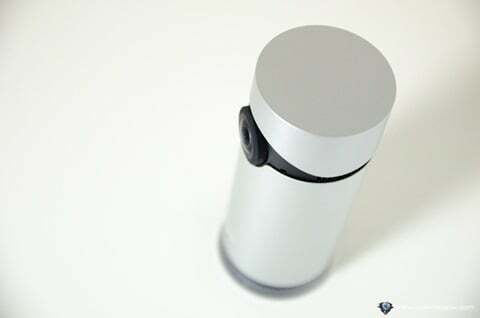 Its speakers are loud and its built-in microphone is also quite sensitive to pick up sounds. If you use the Omna as a baby monitor, this allows you to sing a lullaby or speak to your loved one from afar. The Apple HomeKit-supported feature is definitely the main highlight here. I can set it up to automatically work with my Phillips Hue light bulbs at home. 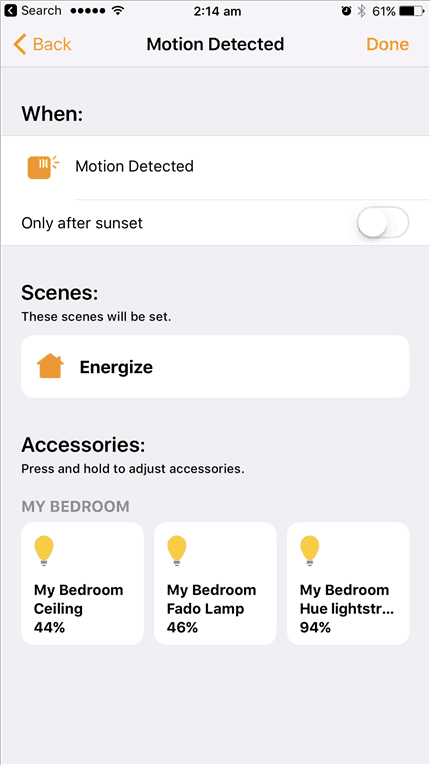 For example with the Apple Home app, I can set it to lit all my Philips light bulbs to a scene when a motion is detected on the Omna. If you have more devices, you can create some amazing scenarios with the help of Omna’s motion detection sensor. 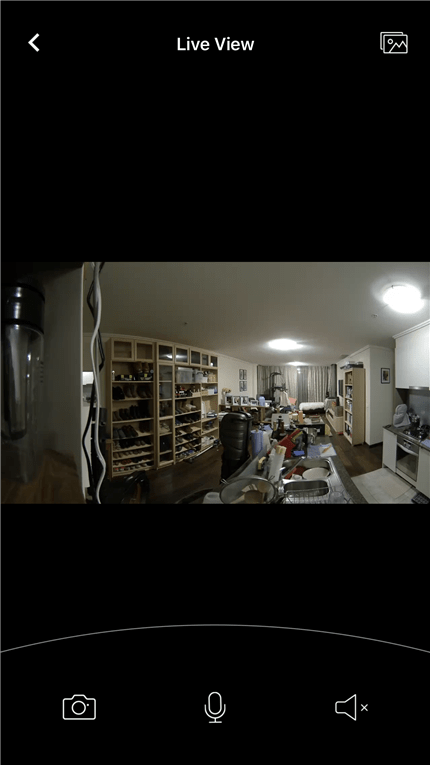 D-Link Omna 180 CAM HD is the first Apple HomeKit indoor camera device that performs its job admirably and works well with other HomeKit devices. 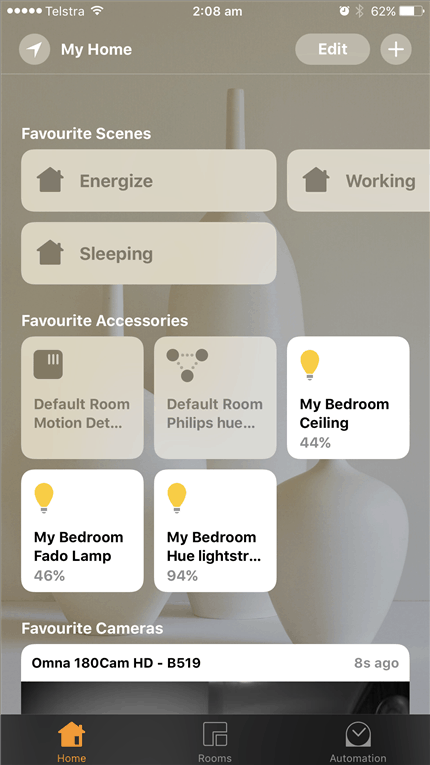 The Apple HomeKit is one of its biggest selling points because you can set it to work together with other Apple HomeKit-supported devices you have at home. With its motion sensing, you can create endless possibilities and even use Siri with it. 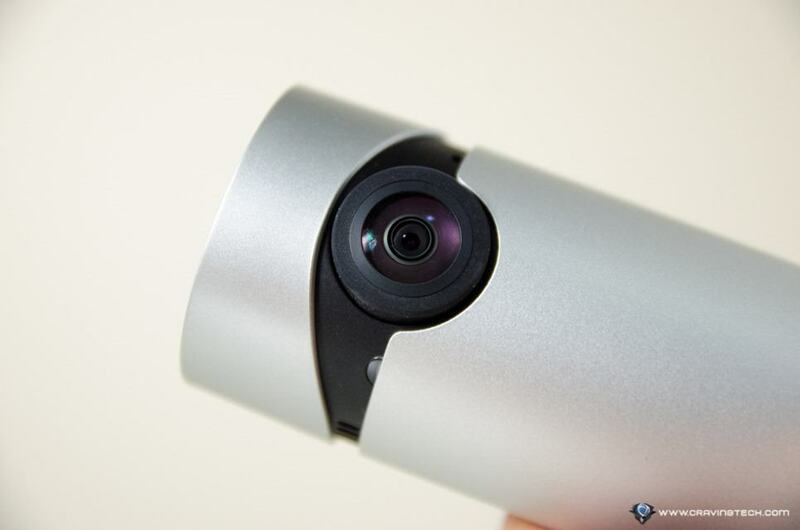 The Omna 180 CAM HD can only work as the trigger though (i.e when motion is detected) and cannot be used as the action in the Apple Home setting (such as “starts recording when the front door is opened”). 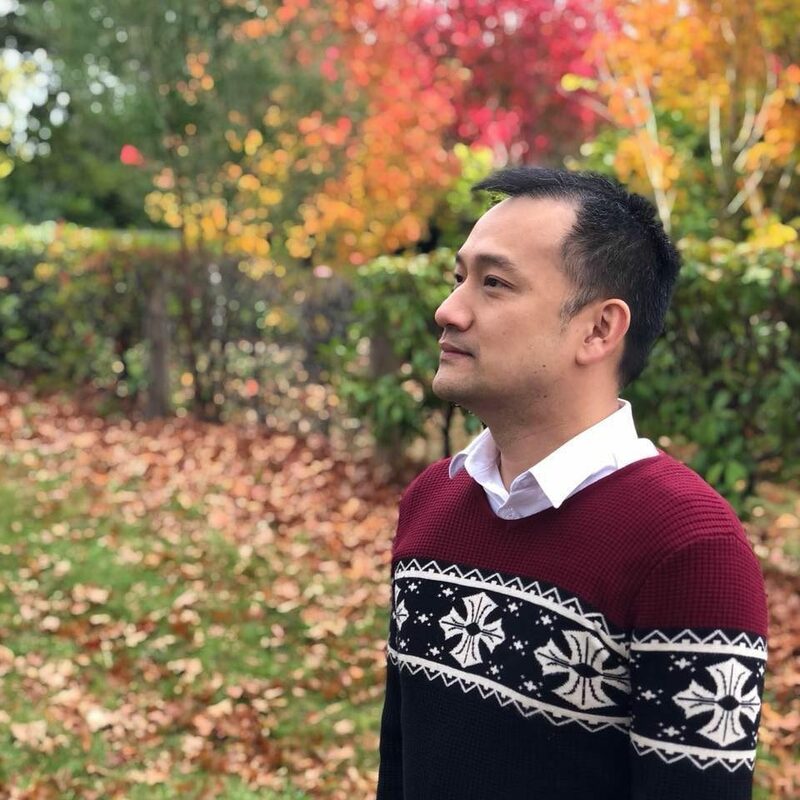 Its video recording capabilities are awesome: delivering clear and high quality pictures, while its wide angle lens manages to capture much more in a scene. However in my opinion, since it only supports local recording to a microSD card and cannot be mounted to a wall or ceiling (at least, not easily) it may be more suitable to have it as a network live monitoring camera, pet, or baby camera. You can purchase D-Link Omna 180 CAM HD for AU $329.95 RRP at the Apple Store or at Amazon if you are not in Australia. UPDATE (15/11/2017): D-Link Omna 180 is now supported on Android as well as some new feature updates such as event notifications, remote live streaming, a new pinch-to-zoom, and you can now enable or disable night vision and the LED indicator light.